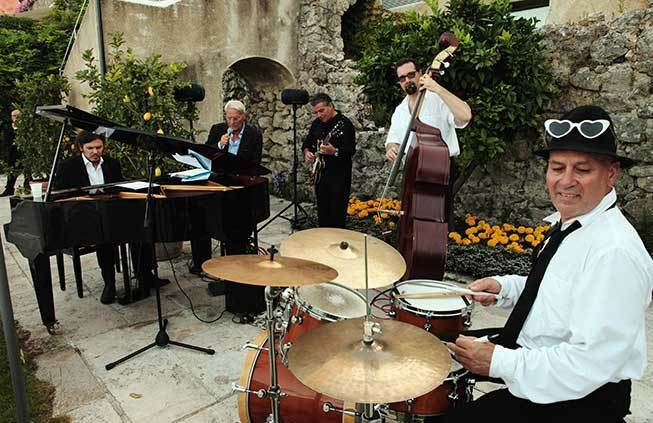 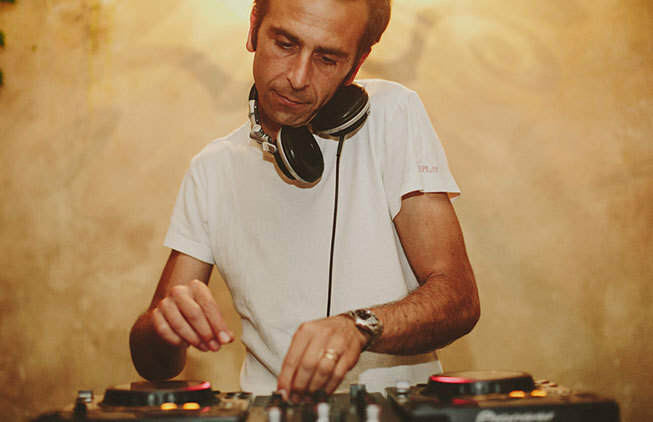 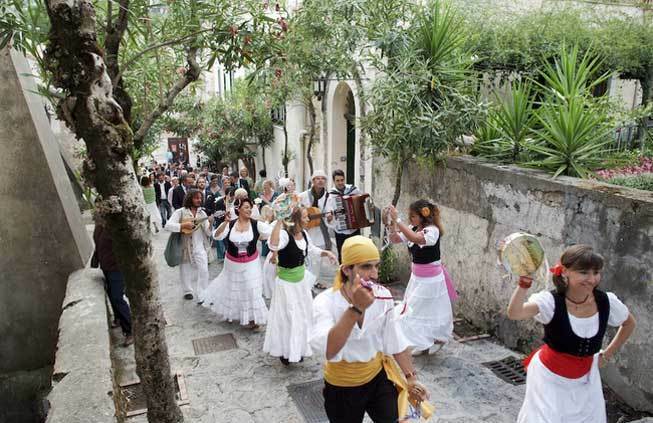 For a successful wedding on the Amalfi Coast music cannot miss! 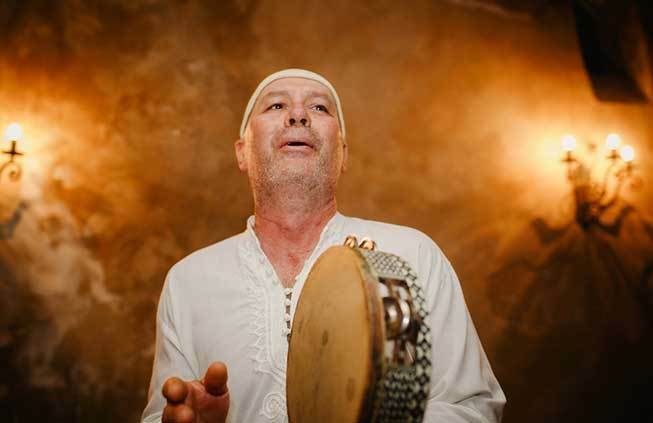 Music is a fundamental part of local culture and for sure an essential part of a family gathering such as a wedding day. 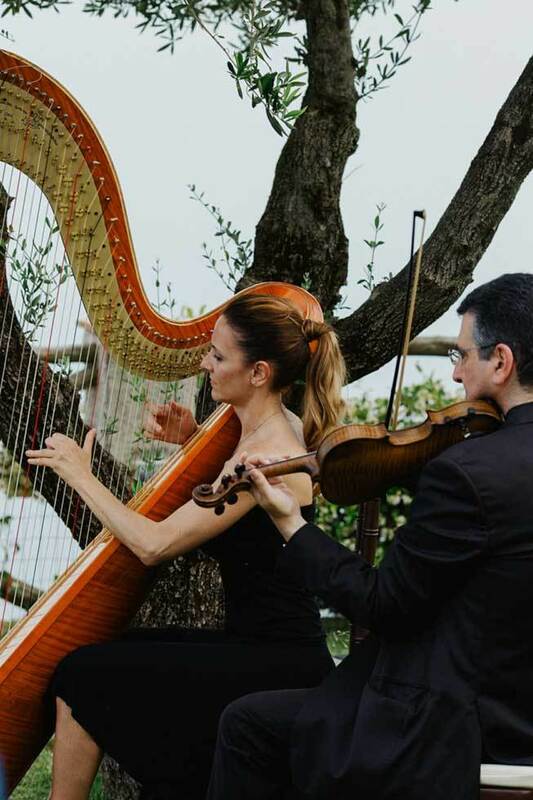 Nothing sets a mood more than a romantic and inspiring music and in such an important day when you promise to each other and share your feelings to your family and friends, professional musicians cannot miss! 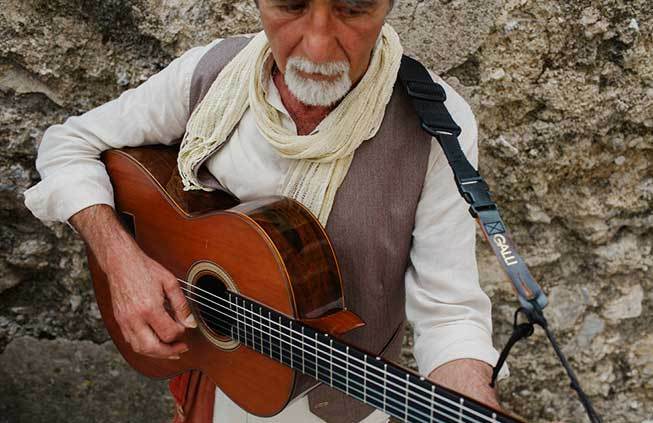 We invite you to explore our selection of artists, we only collaborate with talented musicians and specialized bands. 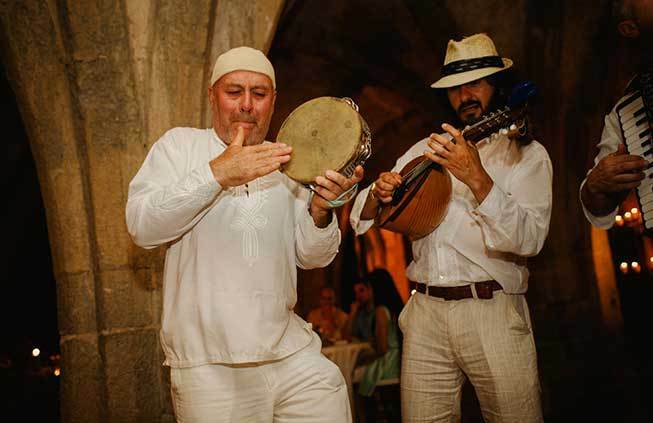 Excellent performances will make you and your guests feel immersed in a magical atmosphere. 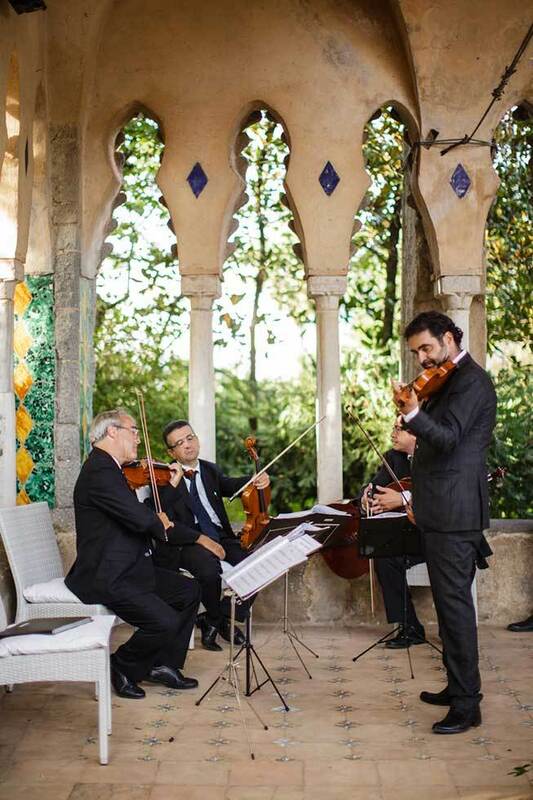 A classical instrument such as a violinist or a classical guitarist or a harpist or even a string trio or quartet is a perfect way to accompany a Bride walking in on a red carpet, while the romance of a mandolin and guitar playing is in harmony with the local traditions for a suggestive ambience. 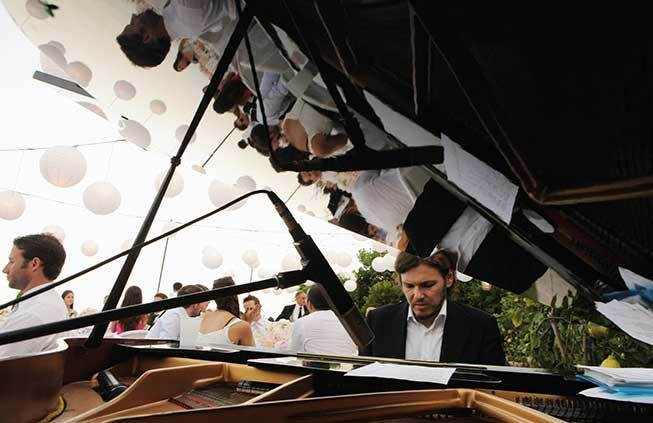 For a Catholic ceremony the organist and soprano duet is a must, can be accompanied by a second instrument for an excellent result. 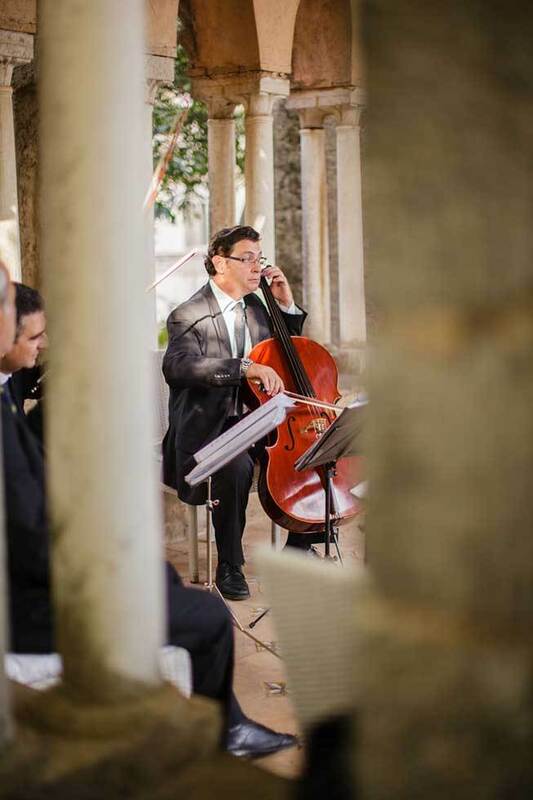 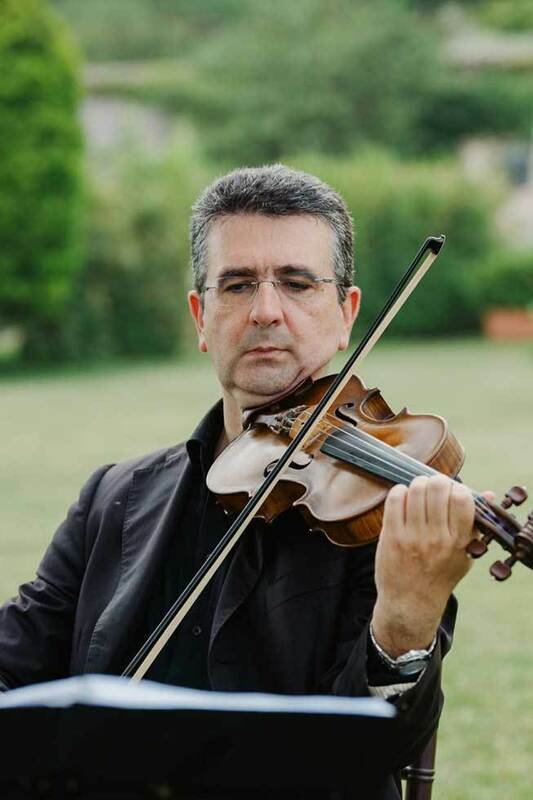 Strings are also recommended during the aperitifs while a bossanova latin jazz band or an international band or an outstanding professional dance band are available to keep all guests on the dance floor. 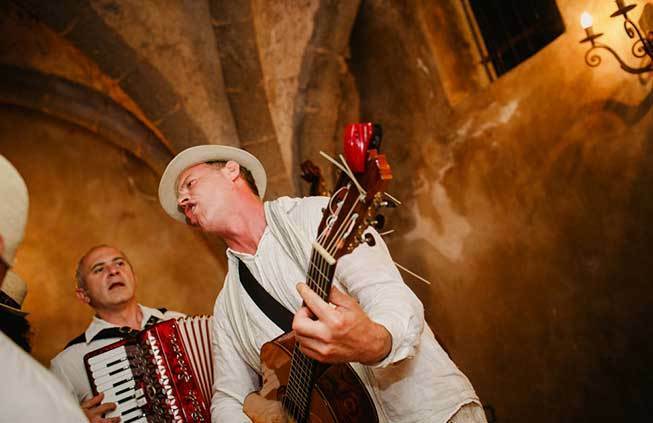 Our bands are made of accomplished and experienced musicians and vocalists with diverse backgrounds that allow them to easily adapt to audiences of different ages, musical taste and size. 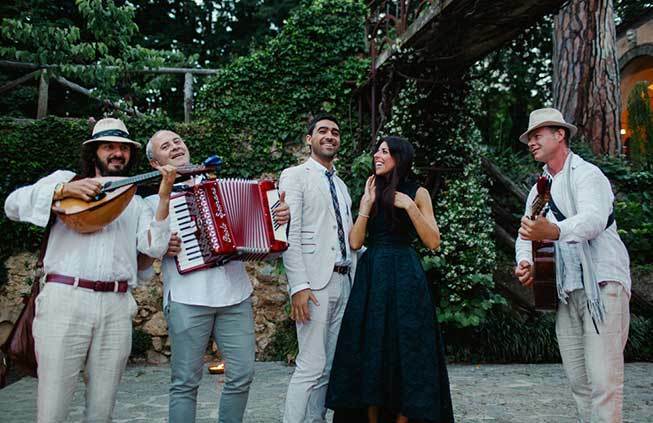 We invite you to discover our endless list of music entertainment available for your Amalfi Coast wedding. 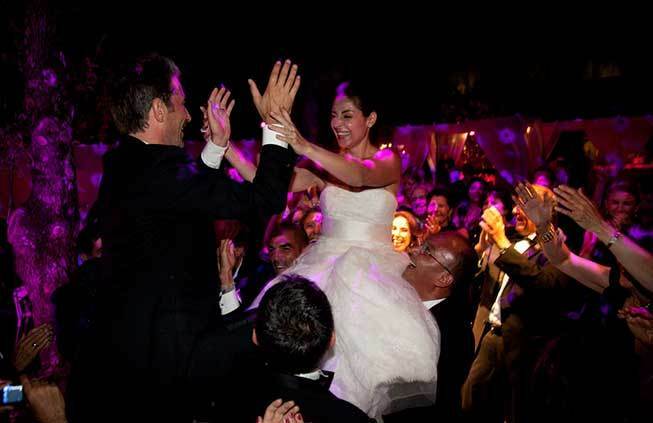 There are many options available to enrich your wedding ceremony, the cocktail or aperitif, and your wedding reception.